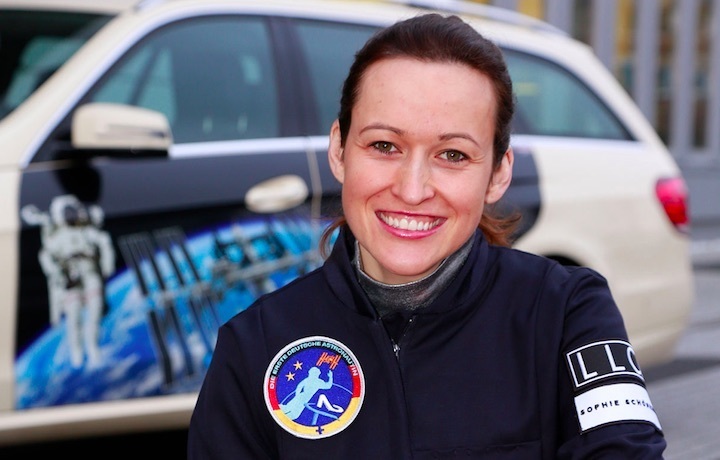 — A private effort to launch the first German woman into space has a new potential candidate. 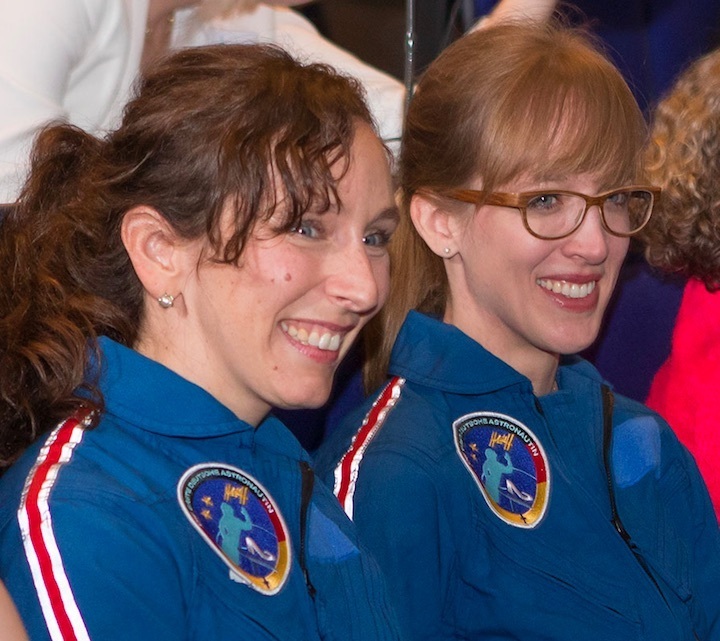 "I want to show that it is possible for ordinary women to develop the necessary knowledge and skills to become an astronaut," said Randall in a statement. ESO astronomer Suzanna Randall is one step closer to her dream of becoming the first German woman to travel into space. She has been selected as a new trainee of the initiative Astronautin, which aims to train the first female German astronaut and send her on a research mission to the International Space Station. 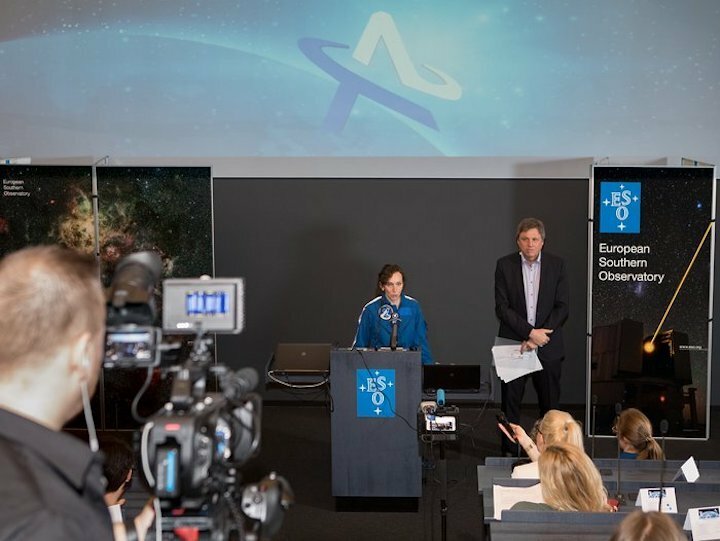 The announcement was made today at a press conference at ESO Headquarters in Garching, Germany. The Astronautin initiative was set up in 2016 to inspire young women to take up professions in space, science, mathematics and technology, and to send the first female German astronaut into space. It will also use the microgravity environment of the International Space Station (ISS) to study how the female body reacts to weightlessness . Thanks to her scientific background and sporting talents, Suzanna Randall has been selected as one of two Astronautintrainees. Born in Cologne, the 38-year-old studied astronomy in the UK before graduating from the University of Montreal in Canada with a PhD in astrophysics. Randall currently works as an astronomer at ESO. Randall began her ESO career as an ESO Fellow and is now involved with the ALMA project, a global partnership that operates the world's largest radio telescope in the Chilean Atacama desert. ALMA consists of 66 giant antennas observing millimetre and submillimetre wavelengths and is the most powerful astronomical observatory for studying the cool and the distant Universe . Randall also studies the evolution of pulsating, blue, subdwarf stars. She has been an avid paragliderfor many years, is a trained yoga instructor and enjoys winter sports. Astronaut candidates in the Astronautin training programme become familiar with the environment of the ISS, and learn about on-board systems and procedures. The programme also involves participating in many activities that place heavy demands on candidates, including parabolic flights, survival training, flight training and robotics training. Over the next two years, Randall will compete for the single space mission place against 34-year-old meteorologist Insa Thiele-Eich. In April 2017, Thiele-Eich was selected for the programme alongside Eurofighter pilot Nicola Baumann, out of 400 candidates. But after Baumann left the project, the selection committee unanimously agreed to give Suzanna Randall her place. 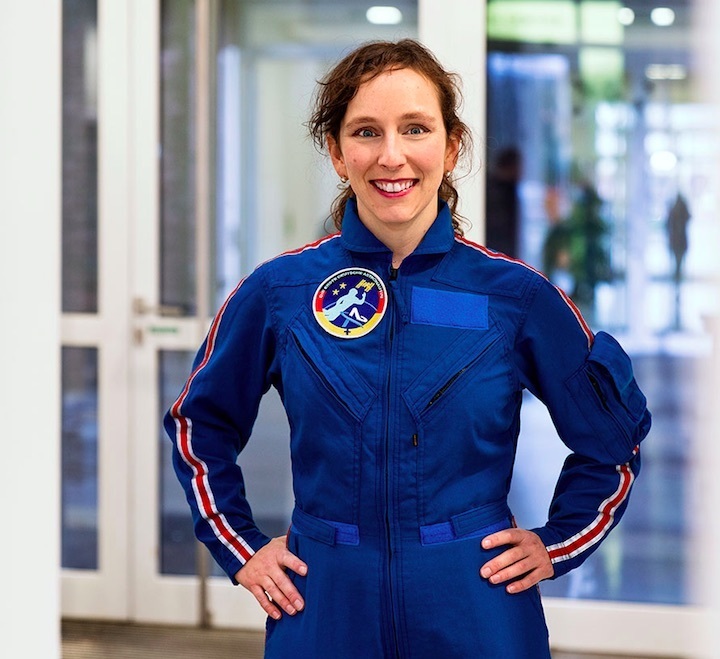 "We are pleased that Suzanna Randall can jump directly into training with her previous knowledge as an astrophysicist,” says Claudia Kessler, initiator of Astronautin. Randall and Thiele-Eich are supported in their training by the aerospace company Airbus. The innovation company, HYVE, works with Astronautin on a challenging crowdsourcing campaign. Together they develop ideas and solutions to finance the space mission of the first female German astronaut. The press conference event has been supported by IWG Isolier Wendt GmbH from Berlin. The International Space Station (ISS) is a habitable artificial satellite that has been made possible through a partnership between Europe, the United States, Russia, Japan and Canada. The 360-tonne ISS has more than 820 cubic metres of pressurised space — enough room for its crew of six astronauts and a vast array of scientific experiments. Station construction began in November 1998. With a resolution ten times better than the NASA/ESA Hubble Space Telescope, ALMA addresses some of the deepest questions of our cosmic origins. The huge array of giant antennas is used to study the building blocks of stars, planetary systems, galaxies, and life itself. The ALMA observatory uses state-of-the-art technology to achieve its scientific goals while operating in the challenging conditions of the high Andes. ESO astronomer Suzanna Randall has been selected as a new trainee of the initiative Astronautin, which aims to train the first female German astronaut and send her on a research mission to the International Space Station. The announcement was made at a press conference at ESO Headquarters in Garching, Germany on 16 February 2018.